Ada soalan mengenai One Toman Guest House? Terletak pada kedudukan yang baik di kawasan beli-belah, bisnes, restoran di bandar Johannesburg, One Toman Guest House menyediakan tempat yang paling sesuai untuk anda berehat seketika dari kesibukan hari anda. Dari sini, tetamu boleh menikmati akses mudah kepada semua yang bandar meriah ini boleh tawarkan. Juga terletak berdekatan adalah Konsulat Mozambique, Hyde Park Corner, Konsulat Jeneral Nigeria. Kemudahan dan perkhidmatan yang disediakan oleh One Toman Guest House memastikan penginapan yang menyenangkan bagi para tetamu. Ketika menginap di hartanah yang indah ini, para tetamu boleh menikmati Wi-Fi percuma semua bilik, Wi-Fi di tempat awam, tempat letak kereta, khidmat bilik, bilik keluarga. Masuklah ke salah satu dari 6 bilik tetamu kami dan tenangkan hati anda dengan pelbagai kemudahan seperti televisyen skrin rata, internet wayarles, internet wayarles (percuma), bilik larangan merokok, penyaman udara yang boleh didapati di beberapa bilik terpilih. Kemudahan rekreasi hotel, yang termasuk seperti padang golf (dalam jarak 3 km) , kolam renang terbuka, taman direka untuk anda melarikan diri dari masalah dan bersantai. One Toman Guest House merupakan pilihan yang bijak bagi pelancong ke Johannesburg, menawarkan penginapan yang santai dan mudah setiap kali. Good for the value. Staff is friendly and helpful. This guest house feels like a nicer AirBnB with less amenities and an actual check-in. I would say bring your own toiletries and converter. The location is pretty good too. Although clean and run by two nice staff. The place has no charm. Decorated with old furniture and needing maintenance - shower door leaked water over floor.. Pool is murky and unusable. Basic breakfast, not even fruit. In a especially difficult city to be visited as a tourist, One Toman Guest House provides a very good service in a region near to the places to be visited by toruists. Although nothing is possible to reached by foot, the guest house has very good installations and the people are very helpful in providing information on how to get to places and visit this very interesting and beautiful city. 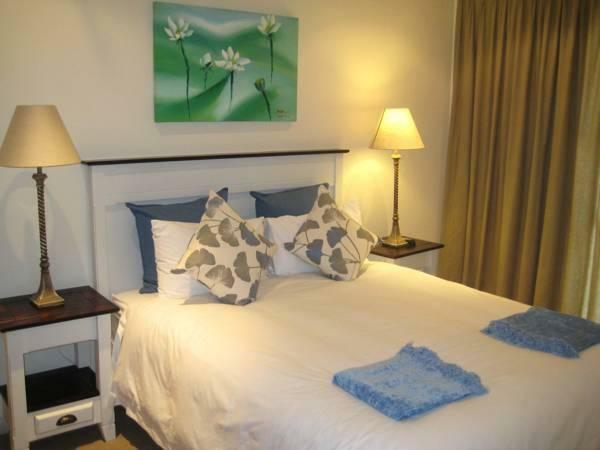 Spacious suite, sparkling pool, friendly staff, very convenient access to Hyde Park, Illovo and Sandton City. Had al lovely stay at One Toman Lodge. The staff were very good and friendly. We felt at home and secure in the midst of Johannesburg which is a very busy stressful city. I will definitely stay there on my annual return. Attentive staff and helpful,friendly house owner who taking care of our request. Spacious room. Comfortable bed. Room given was very spacious. Bed was comfortable. House owner and staff were attentive. The house had a shared sitting room, a dining room and a conference room---all in nice decloration. It also had a swimming pool and a small garden. The location was good, close to shopping malls and staff is friendly. I have chosen it because I thought it could be nice to use the pool but it looked always dirty and not appealing at all. The breakfast was poor. Powder coffee instead of filter and the only healthy option was flavored yoghurt. I have nothing against simple breakfasts but within a small budget it is possible to have a better offer. South African has plenty of fruit so there is no need to serve canned fruit for breakfast. Perhaps, because guests would dirty the breakfast area in the evening before as it could be used as an eating room and staff did not want to disturb guests with the noise of a vacuum cleaner either at night or early in the morning the floor looked dirty in the morning, which I found extremely unpleasant when eating. Overall, the guest house is simple. Despite the cleaning it looks not taken care (maybe the owner should invest a bit more on making it look nicer, not talking about decoration). Showers are bad and wet badly the floor when used. Rooms are not big but liveable.If you are one of these persons who like to watch TV, available channels are very limited. In very hot days, be aware that there is no AC. Quiet yet close to Hyde Park. Cosy rooms. Very neat and calm guesthouse with friendly staff. Room is small but cozy. Located near Hyde Park shoppings centre, convenient for dining out. However the hotel facility is extremely basic, and it is more of a three star hotel than a four star. 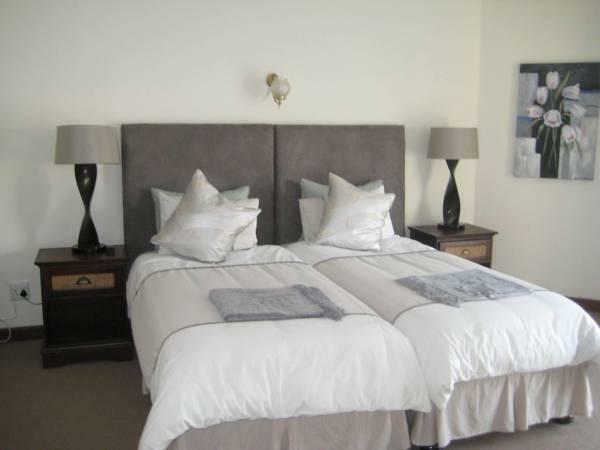 Cosy spacious rooms, friendly and efficient service, clean and wonderful breakfast. It was a wonderful location with excellent service from the staff. it was very homely and we felt home away. I would def recommend this place to anyone else. O quarto que reservei não foi o mesmo que me deram. O quarto estava sujo, lençol aparentemente usado, porta do banheiro quebrada. A casa é bonita mas está toda deteriorada e suja, precisando de reforma urgente! O café da manhã é muito ruim! Os funcionários são educados mas nunca ficavam na recepção e sempre tinha dificuldades para encontra los. A localizaçao é boa em um bairro com condomínios bons mas não fica em sudton. Mandela squarefica uns 15 minutos de carro do local.